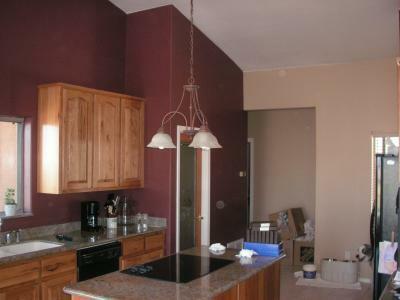 Why should you trust us with your Chandler, AZ interior painting needs? You want to work with someone who knows what they are doing, and we are that company. We have the experience that is needed to paint your home in the best way possible. Whether you just need someone to touch things up or you have a big job for us, we have the experience that is needed to get the job done in the best way. We will give you a good finish, the kind of finish that you want for your home. You want to work with someone who will clean up their mess when they are finished with the project, and we are that company. Interior painting is messy work, and some painters will leave behind a mess when they are finished with a job. We are not that kind of a company. We will always clean up the mess that we create, knowing that you don't want to deal with it. We will leave your home clean. You want to work with someone who will treat you fairly, and we are that company. We will always treat you right, taking care of your home in the best way possible. We will treat you fairly and charge you a good price. We will work hard to make sure that you are completely satisfied with the job that we complete. You want the job done right, and you know that we will do it right. We will work hard to keep you happy, what more could you ask for? If you need help with your Chandler, AZ interior painting, we are only a call away. Let's get in touch and work together for the good of your home.